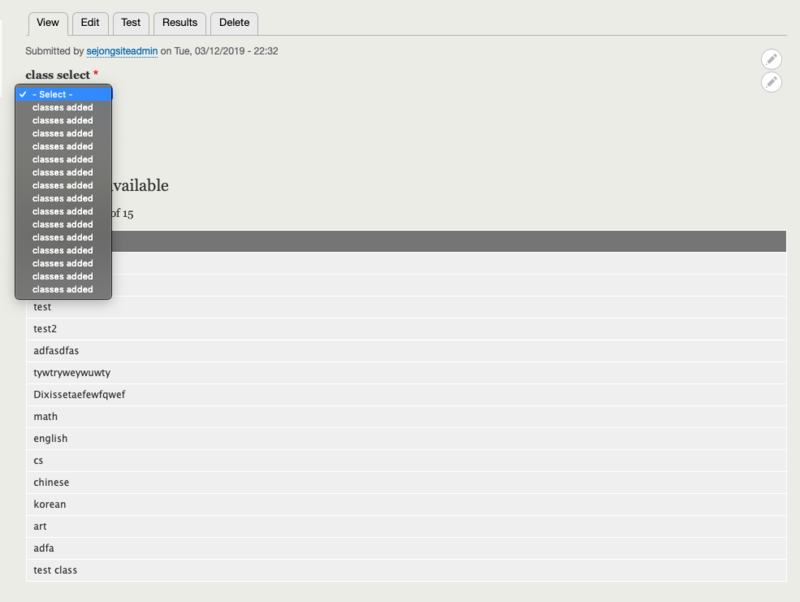 I am new to Drupal 8 and I am trying to figure out making a dropdown list with using webform submission. I have two webform contents which are Class and Student. Class stores class and description. Student stores student name and id. 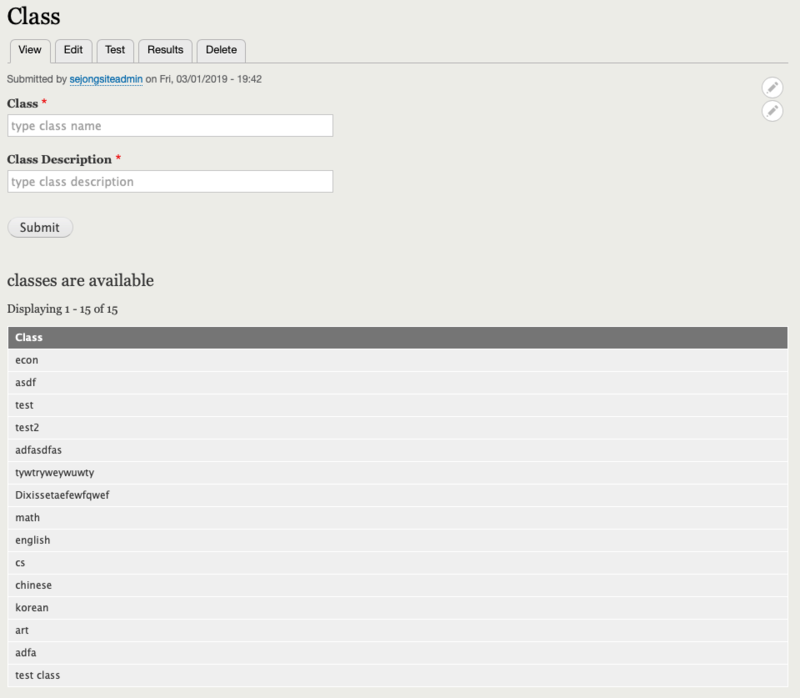 For the dropdown list, I am using 'Entity Select' in the 'Enroll Class' webform. And this is how I set up for the 'Entity Select', I am not sure what and how should I fix or change to display things I want to display on the list. I want to learn how to cooperate with webform submissions and how to display as a dropdown list. Thank you very much for your help! Browse other questions tagged views webforms or ask your own question. How do I use the time function in Views Math expression? How to reference a view using entity reference field type? 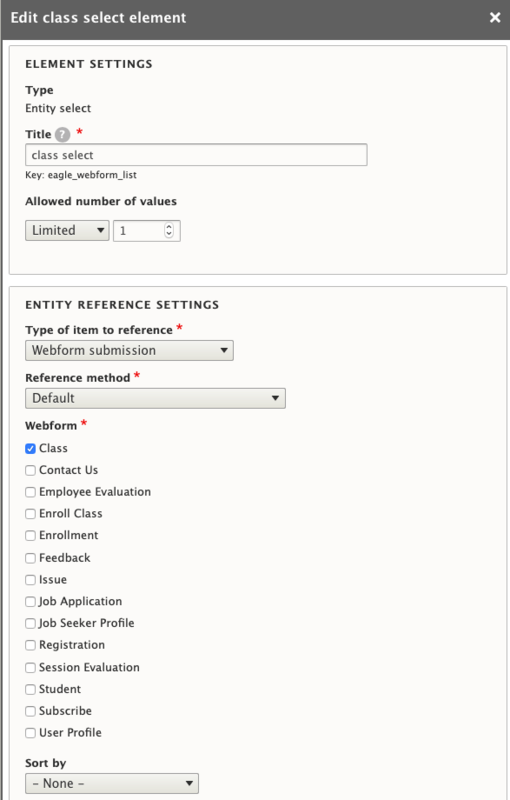 How can I create a very simple entity definition for Webform submissions? Webform how to pass that SUBMITTED TO value through hidden field in a form submission?